I’ve been making (and eating!) 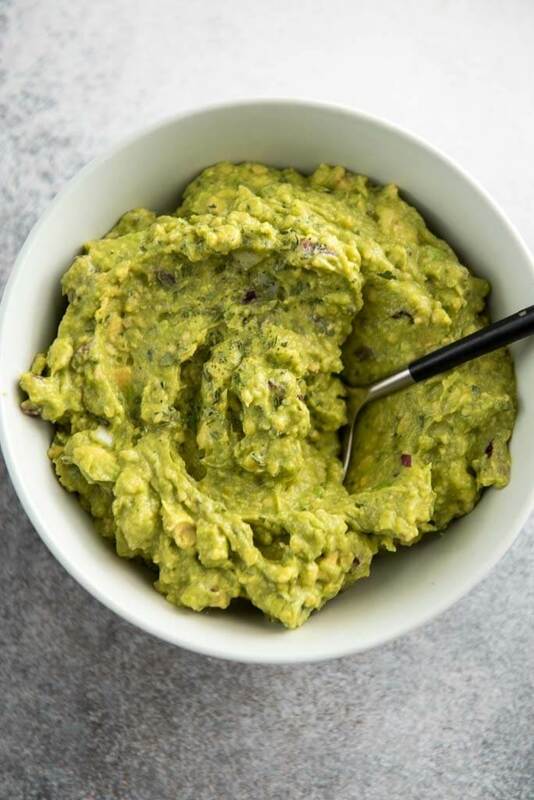 guacamole for years and I’ve got the easiest and best recipe that will have everyone begging you to bring the apps to the party! 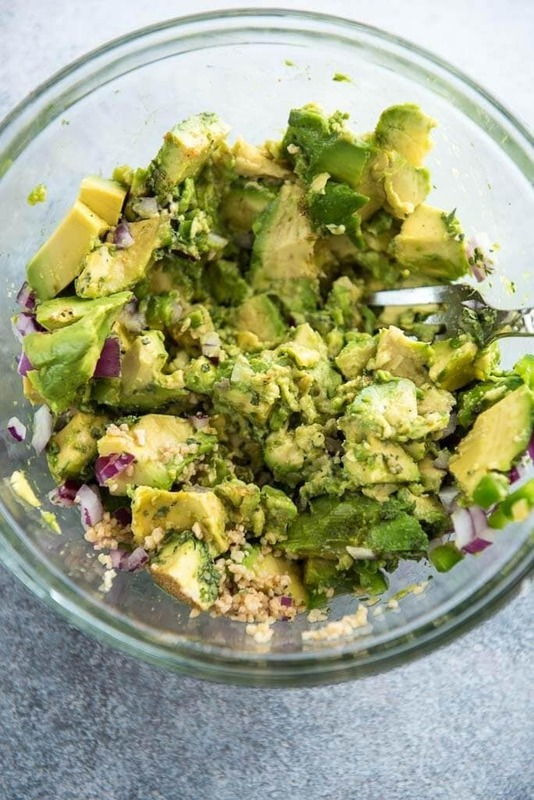 This Easy Guacamole Recipe is the only one you need! I mean, who doesn’t need a homemade easy guacamole recipe in their back pocket? I’ve never been to party that couldn’t benefit from a delicious bowl of guacamole for people to gather around. Or a football game where the spectating couldn’t be improved by consuming delicious guac and crunchy chips? Right? Okay, now that we are all on the same page, let’s talk about how hard it is to make homemade guacamole instead of buying the pre-made stuff at the store. The answer, not hard at all. It only takes a few minutes and minimal dicing to make this guac. I’ll even give you a few secret tips on where it’s okay to cut some corners if you are sort on time. How do you make basic guacamole? most people add tomatoes, I don’t! They can add a funny texture and can make it kind of runny, so I just leave them out. Let’s talk chips! Such an important aspect when it comes to the whole guacamole experience. You can’t have chips breaking off into the dip bowl. Things start to get super awkward when that happens. I mean, do you reach in and get it? Leave it and pretend it didn’t happen? Grab another chip and try to dig it out? Just get yourself some nice thick chips and just avoid that whole situation that can kill the vibe of your awesome chip dipping party. Personally, I love the Tostitos Cantina chips (not the thin and crispy ones, those are awesome with salsa) or something similar. I’d shy away from scoop style chips unless the guac is just for you. They are awesome but people will get such a huge scoop of guac with each chip that it will be gone way to fast. 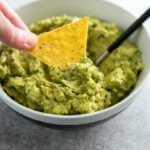 How do you make easy guacamole dip even easier? Use frozen avocado chunks!! For real! They have these at most grocery stores now and they are just flat out amazing. People showing up last minute? Have these on hand and whip up an impressive batch of guac on a dime. 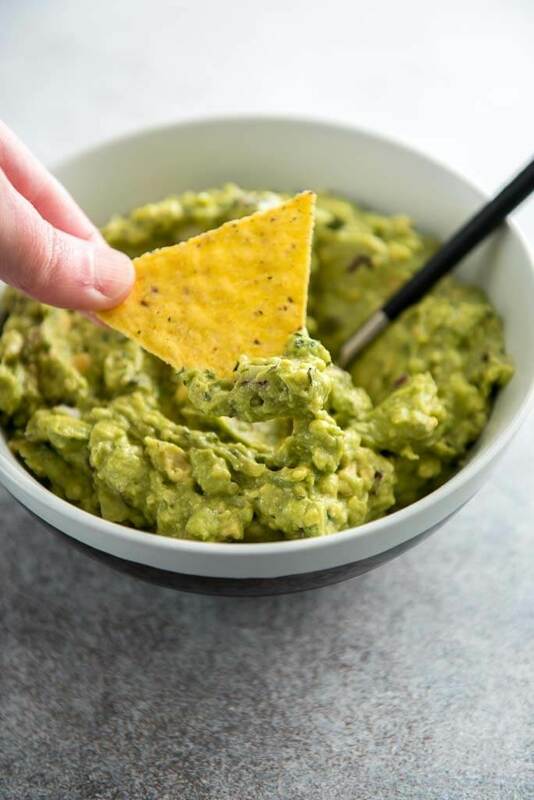 So, do you already have a tried and true easy guacamole recipe you use, or are you ready to give this one a go and see if you are now going to be the designated dip maker at all future parties and family gatherings? I've been making (and eating!) 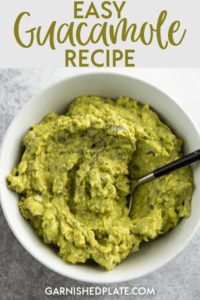 guacamole for years and I've got the easiest and best recipe that will have everyone begging you to bring the apps to the party! 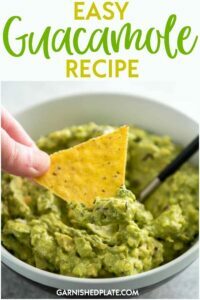 This Easy Guacamole Recipe is the only one you need! Any of the ingredient quantities can be adjusted to taste. Play around and make it your own. Can’t get enough avocado? Try my Avocado Corn Salsa!! I love this fresh, easy and delicious appetizer! Let me grab some chips. 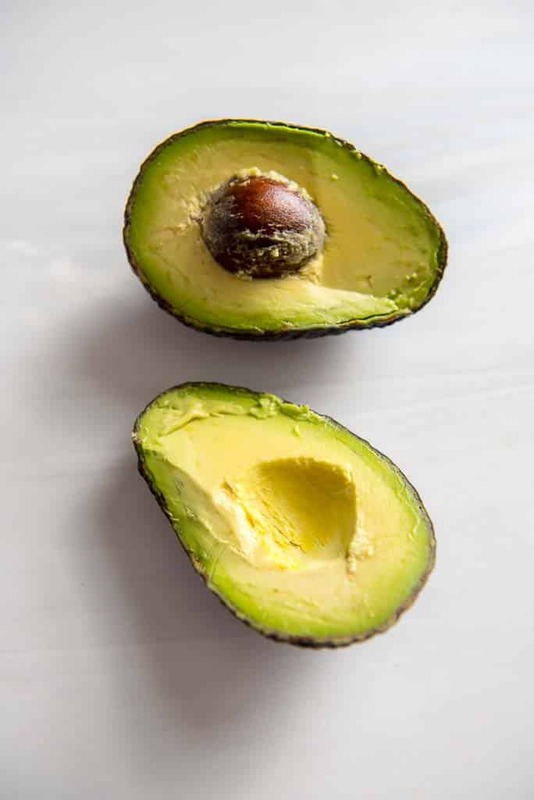 I'm an avocado addict, and I TOTALLY agree about leaving tomatoes out the guac. Yours looks yummy! I 'm from Texas, guacamole is in our DNA! Can't wait to try out this super easy recipe. It will be perfect for entertaining! What a delicious sounding guac recipe. Wish I had it right in front of me for lunch (with sturdy chips)! I love the part about the chips breaking off into the bowl. LOL.